This recipe has everything you might want in a meal. It's fast, it's fresh, it's delicious...oh, and it's easy cleanup! You can literally have this cooked and on the dinner table in just about 40 minutes. Add your favorite side or a fresh salad and you're set. Everything is cooked in the same skillet, so it's a one pot cleanup. Enjoy! Set a large oven proof skillet over medium high heat. Add the olive oil. When the oil is hot, add the chicken and sear on both sides until golden brown, about 3 minutes each side. Place skillet into the preheated oven and bake until the chicken reaches an internal temp of 165 degrees; about 20-25 minutes. Remove from the oven and top the chicken breasts with cheese, return to the oven and broil 2-3 minutes or until the cheese is gooey. 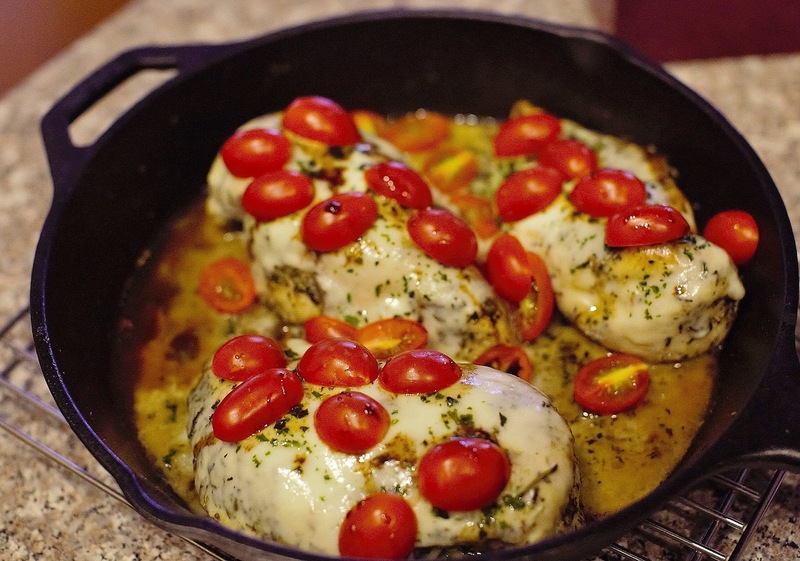 Remove and top with tomatoes and basil, drizzle with balsamic vinegar and serve immediately. 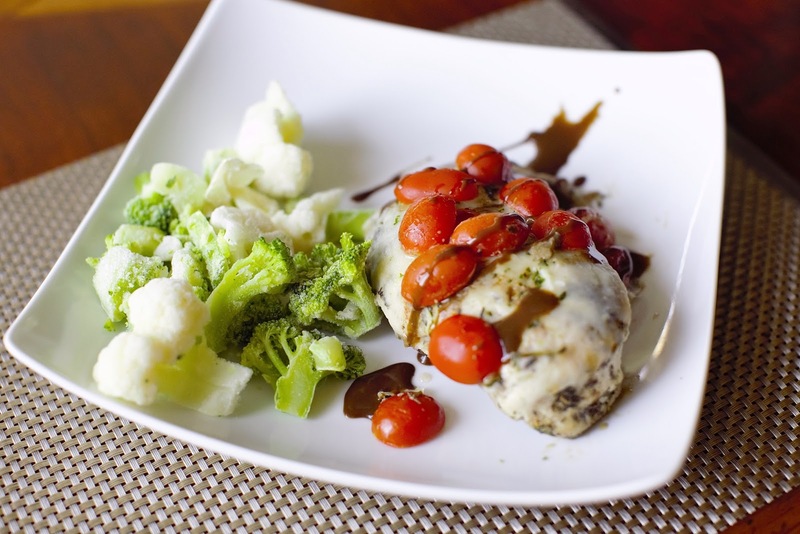 *I tried the balsamic vinegar but due to the consistency it slid right off the breast. I opted to use a balsamic salad dressing which had more body allowing it to stay on the chicken. One of the special wedding projects I was asked to help with this year, included making tulle skirts for three bridesmaids. 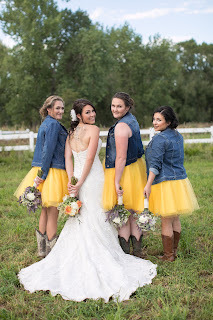 This was an outdoor rustic wedding, which included blue jeans, boots and some fun skirts for the girls! I chose to make circle skirts to limit the gathers at the waist. There aren't many gals who like a lot of extra fullness at their waistline, so by creating a circle pattern it makes for some fun fullness at the hemline, with a much smoother waistline. This bride definitely had a vision for her girls, including the boots, denim jackets and wide leather belts. Such a fun pop of color for the day! Kaitlyn also asked me to make a couple of other items for her big day. One was a hairpiece, the other a garter. 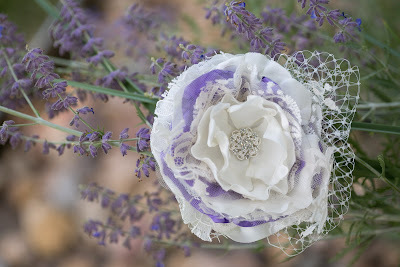 The hairpiece I made with layers of off-white fabric and a hint of the purple to match the purple flowers in the bouquets. I topped it off with a bit of lace, russian netting and a pretty rhinestone button for the center. The garter was really special since she wanted to incorporate a piece of her Mom's gown. I chose to use a lace medallion from the bodice and we also added a bow for her "something blue". 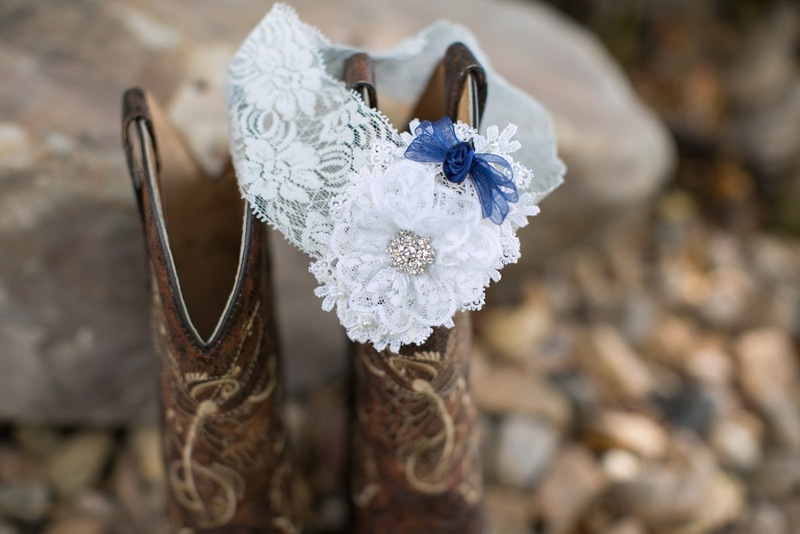 Kaitlyn also asked me to make a second one, not because they were having a garter toss, but she wanted to gift it to her single sister as a surprise. Isn't that sweet? I understand tears flowed when she gave it to her! It turned out to be a wonderful wedding. 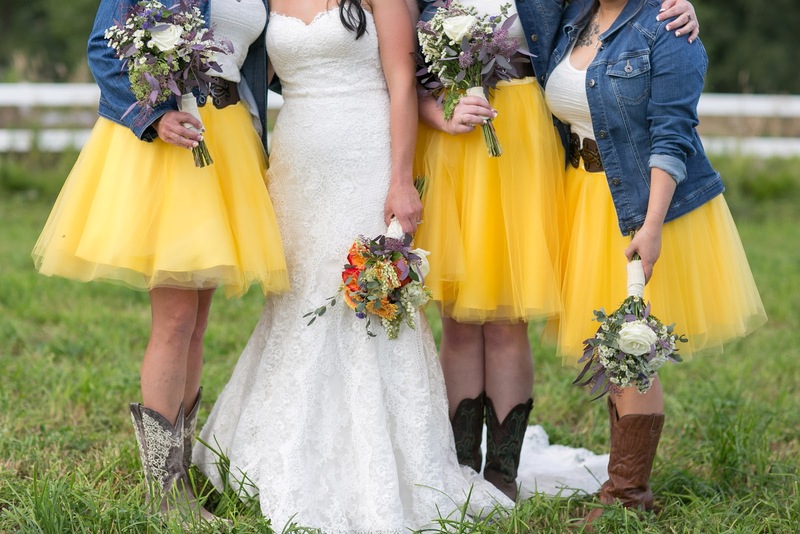 It took place at a private residence with nine acres of open space for hosting a beautiful ceremony and plenty of options for photos that would match the rustic theme. The reception was a BBQ, followed by lots of dancing underneath a mason jar chandelier. Thanks Kaitlyn for letting me be a part of your big day. Best Wishes and much happiness to you and Justin!